There are increasing numbers of media and anti- terrorism specialists that confirm the existence of a connection between the Polisario leaders and terrorist organizations operating in the Maghreb and the Sahel. The American newspaper “Daily Beast” commented in its October 21 issue on the dubious activities of the Polisario that transformed, under the complacent eyes of the Algerian regime, the Tindouf camps into a logistics and recruitment base for the Algerian terrorist groups, al Qaeda in the Islamic Maghreb (AQIM) and its offshoot, the MUJAO. The author of the story, American Vivian Salama, points out that the Polisario-controlled Tindouf camps, located in south-western Algeria, are becoming prime recruiting grounds for AQIM. The ideological bankruptcy of the Polisario Front, created in the 70s as an anti-monarchist extreme leftist group by the Algerian government and former Libyan leader Muammar Gaddafi, led to the invention of a new ideology fuelling young Sahrawis’ opposition to Morocco, says the author of the story. 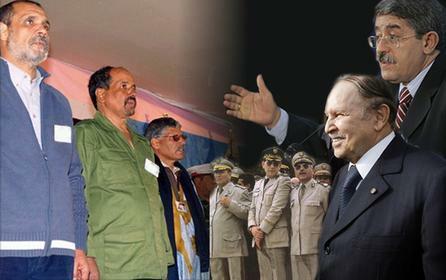 The solution was quickly found in the Islamism simulated by groups set up by Algeria to justify the military dictatorship, like the GSPC which became AQIM and its regional offshoot, the MUJAO, created to erase the image connecting Algeria to terrorism in the Sahel. Young Sahrawis disillusioned by the Algerian regime and the Polisario leaders face a future of uncertainty while extremists, preying on their scalding frustrations, are ready to use them as suicide bombers against Morocco and Moroccan interests. Vivian Salama who went to Algeria, at the risk of her life, to make the reporting on the Sahrawis held in Tindouf, describes the misery and desolation of these Sahrawis, especially the youths. Algeria tries to indoctrinate these youths and to make them hate Morocco by telling them again and again that their misery is caused by Morocco. This Algerian tactic, similar to the one experienced by the Algerian people during the black decade, is grimy and dangerous. If the Western Sahara refugee camps are radicalized and if the desperate Sahrawi youths plunge into religious extremism, they will eventually revolt against their masters, namely the Polisario leaders and the Algerian regime, warns the author of the reporting.